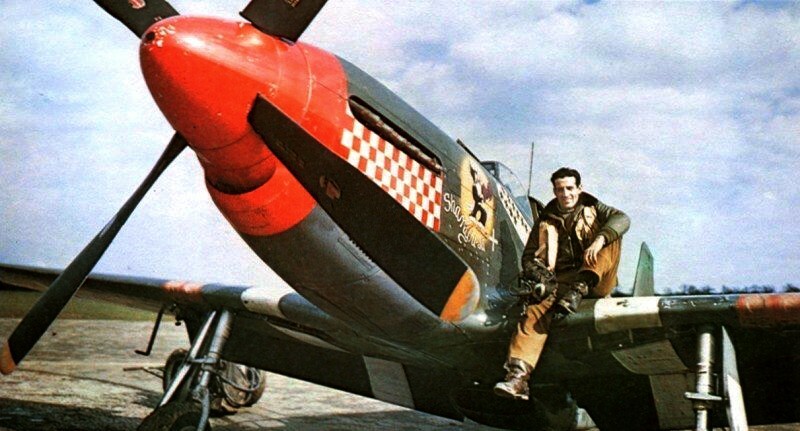 » USAAF Capt Don Gentile sits on the wing of his P-51B Mustang “Shangri-La” of the 336th Fighter Squadron at RAF Debden, Essex, England, UK; 1944-45. Photo 1 of 2. This photograph has been scaled down; full resolution photograph is available here (800 by 431 pixels).